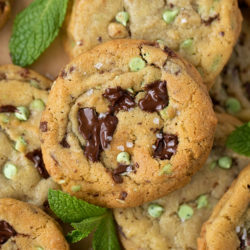 These mint chocolate chip cookies have gooey mint studded centers and crisp edges. 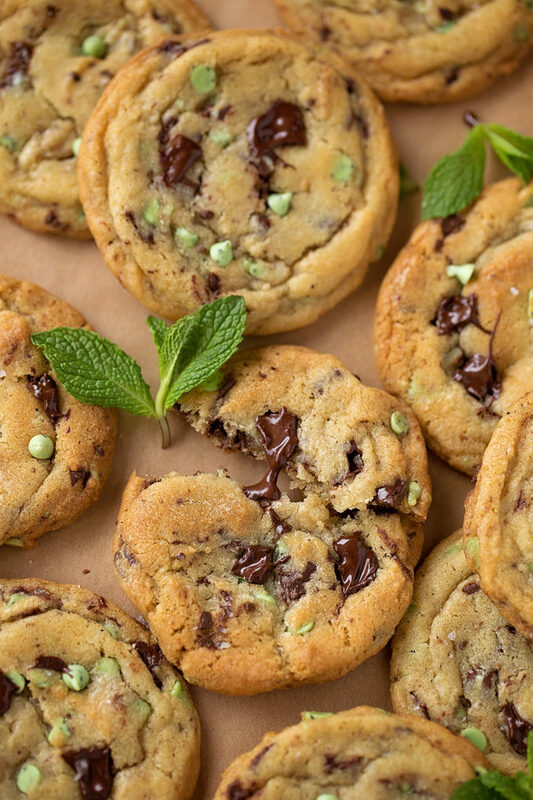 They are loaded with chocolate, Andes mints, and mint chocolate chips. We love cookies! Out of all of the desserts we make, cookies are the one thing I still crave on a daily basis. 😁 The most requested is classic chocolate chip, however, sometimes we like to get creative and try new things. 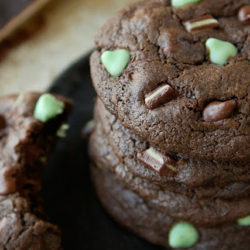 I made these for St. Patrick’s Day and they were a huge it! 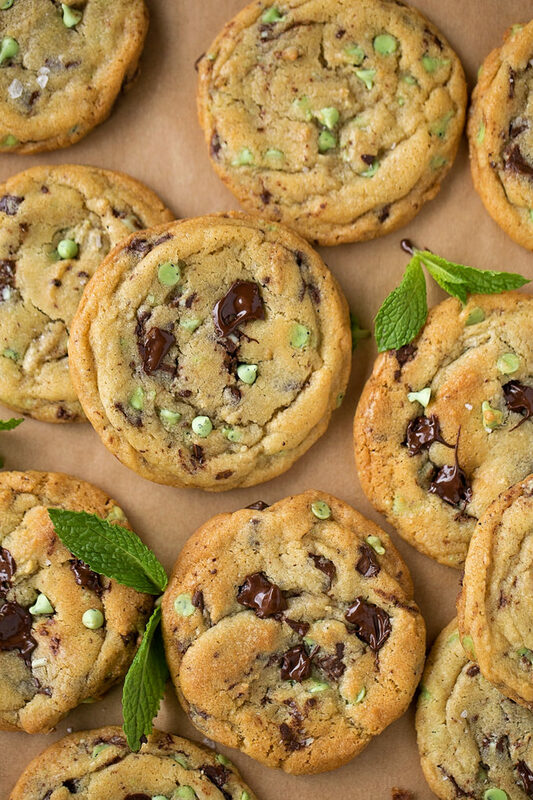 I took some of the Andes mints and mint chips we had and added them to our favorite cookie dough to make these extra minty cookies. I tested the idea for this recipe twice, and the the first round didn’t turn out quite right. They tasted amazing but they were flat as pancakes. That was a no-go. I adjusted the recipe a bit and viola! Thick and chewy with crisp edges and soft centers. Oh, and lots & lots of mint chocolate (the first batch needed more)! 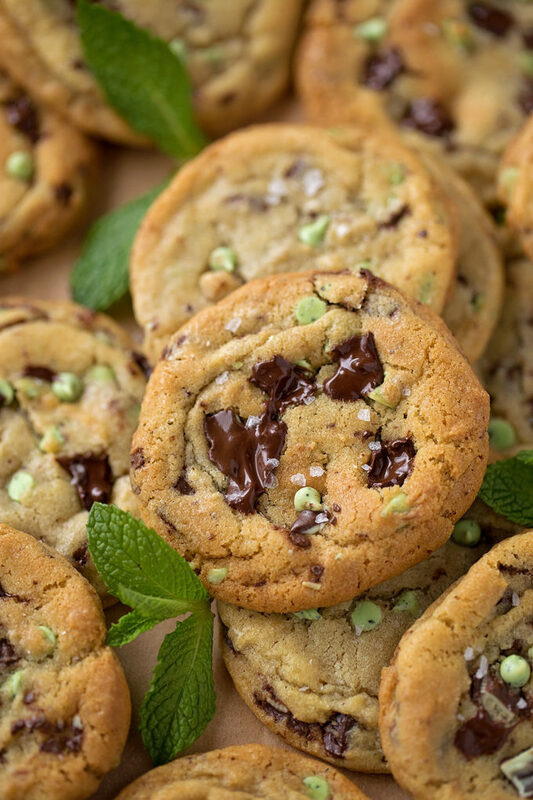 I picked up a bag of mini mint chips from my local restaurant supply store, however, many of the big box stores sell brands like Guittard, Hershey’s and Nestle. If all else fails, just double the amount of Andes and they’ll taste just as good. 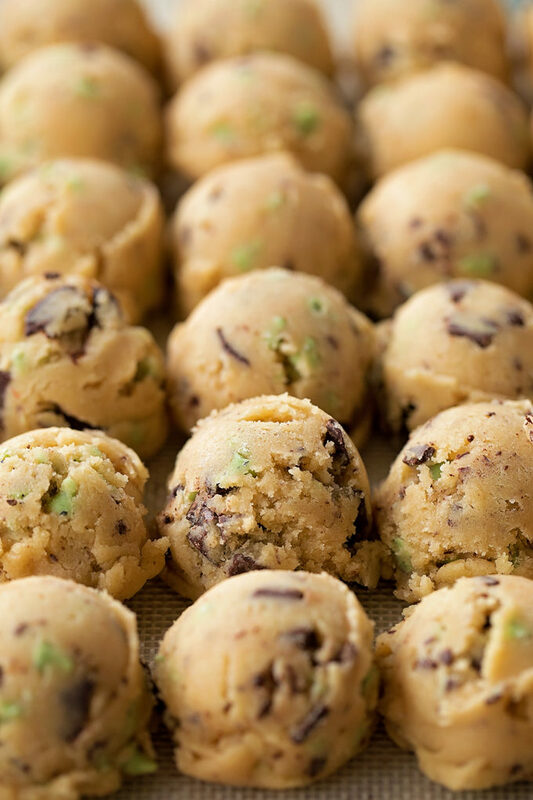 TIP: If you portion out the dough (scoop it into balls) before you refrigerate it, you only need to refrigerate them for 30 minutes. Pop the cookies into the oven for 10-12 minutes, depending on how light or dark you like them and enjoy them while they’re warm. 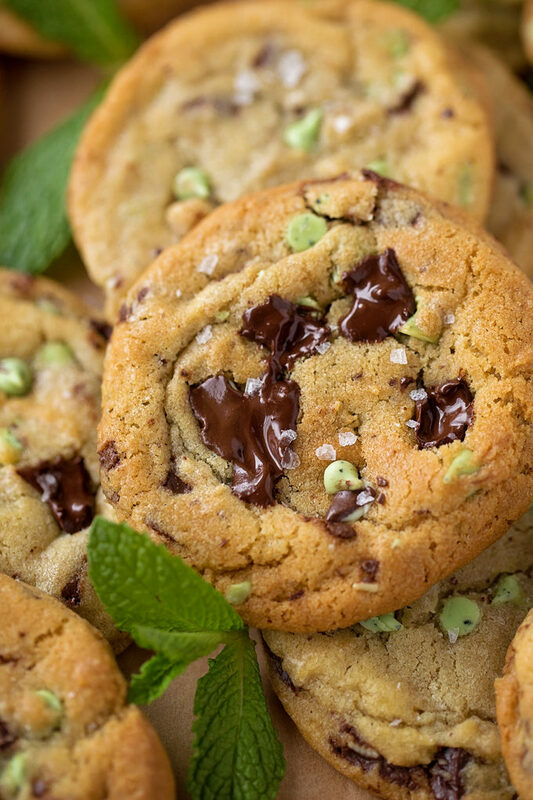 I mean, who can resist a freshly baked cookie with puddles of gooey mint chocolate? Definitely not me! In the bowl of a stand mixer (or a large mixing bowl with a hand mixer), beat together butter, sugars and vanilla for 1 minute. Add the eggs one at a time, mixing in between additions. In a medium mixing bowl, whisk together flour, cornstarch, baking soda and salt. 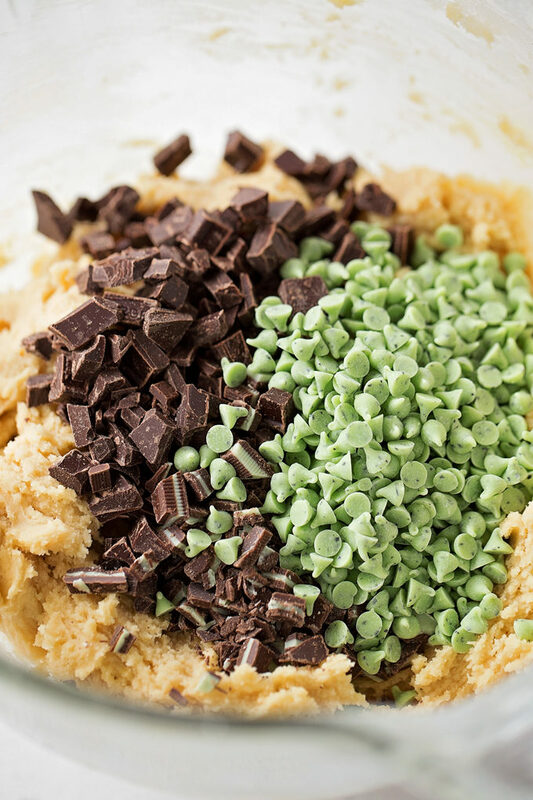 Turn mixing speed to low and gradually add in the dry ingredients. Beat until just combined or until a soft dough forms. 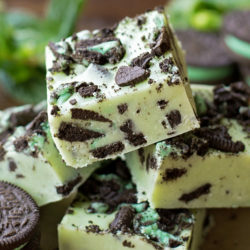 Fold in the mints, mint chips, and chocolate chunks with a spatula. Preheat oven to 350 degrees. Line baking sheets with parchment paper or silicone baking mats. To bake the cookies, using a standard size cookie scoop (approximately 1.5 tbsp.) to form balls of dough. Place onto the prepared sheets, leaving at least 2 inches in between. Place in the oven and bake for 10-12 minutes, rotating the sheet half way through the baking process. Remove from oven when cookies are golden brown in color around the edges. Let cookies cool on pan for 3-4 minutes, then transfer to a wire rack to cool completely. hey girl- these cookies look so yummy! We (church) have a bake sale coming up in May to raise money for the kids to go to church camp in June and these cookies would be perfect to bring! Y’all have a great weekend! 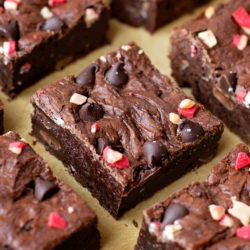 these were so rich, and chocolatey, and minty, and yummy!